Evelyn is a native of Austin but has lived in several other places with the United States Air Force before landing in Spring Branch. She has a passion for learning and is diligent about providing top notch service to her clients. 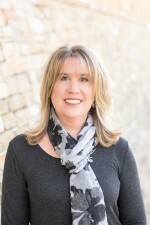 She has been working to complete a home staging certification, as well as her property management certification, and she has been a real estate investor herself. She is ready to meet her clients needs whether marketing a home for sale or keeping it as an investment. Either way, she is ready and able to help!